Traumatic brain injury (TBI) can be one of the most devastating injuries that can happen to a human being. Because the damage is invisible, TBI and stroke sufferers often have trouble convincing others that the injury is real, and the variety of symptoms make effective therapies harder to design and administer. 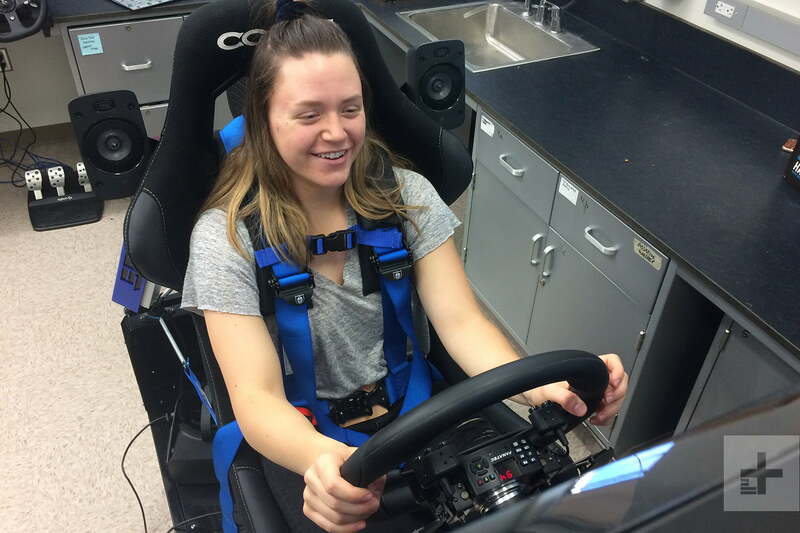 But now one researcher at Loyola Marymount University in Los Angeles is investigating whether stroke and TBI survivors can benefit from using a driving simulator designed for auto racing to test for neurological deficits and retrain survivors to drive safely. 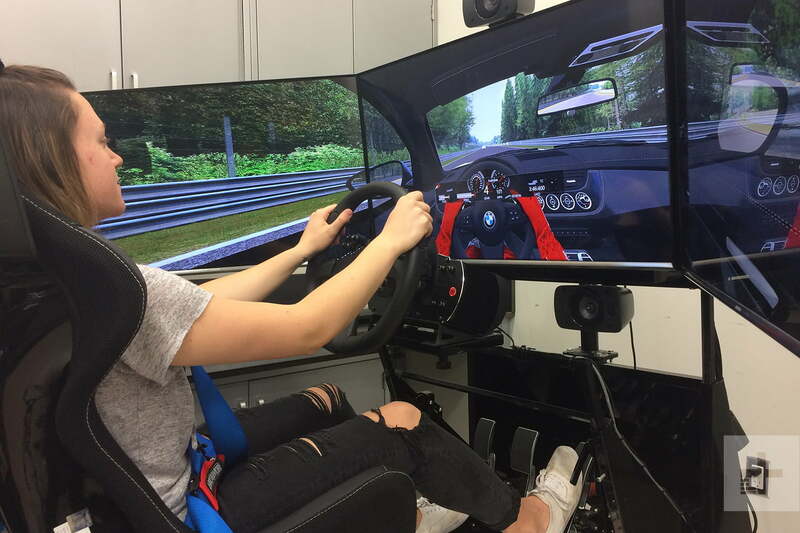 “I am in the early stages of a research project that will investigate the use of a driving simulators, such as the SimGear GT, for stroke recovery. The goal of the research is to see if training with simulators that provide motion feedback is more effective than the current clinical standard which often uses fixed-base simulators,” Brendan Smith, assistant professor of mechanical engineering at Loyola Marymount, told Digital Trends. Modern racing simulators are much more complex than the driving setups designed for home gaming. 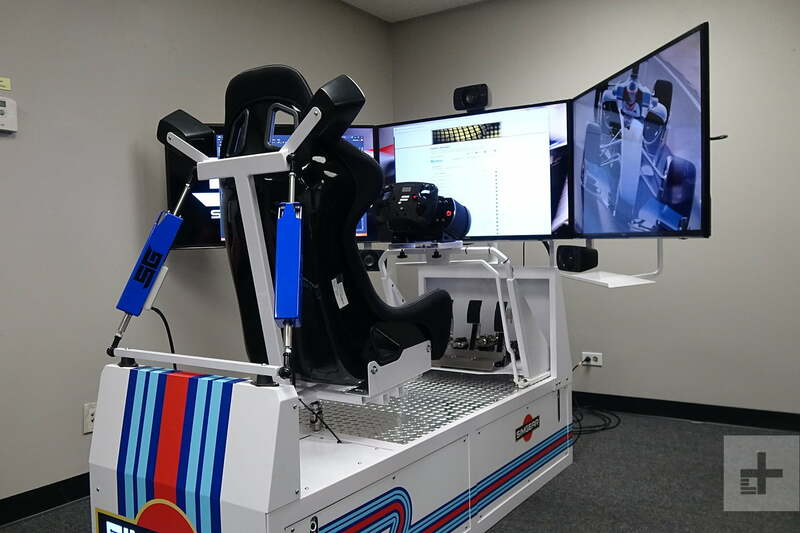 A full racing simulator is designed to create an immersive virtual reality experience, including moving the entire platform to simulate G-forces and the actual motions of a vehicle. A simulation will predict, with accuracy, what’s going to happen in the real world. Keith Maher is a thought leader in VR simulation technology. He runs a company named VR Motion based in Hillsboro, Oregon. Maher has built both racing simulators and public road training systems so he knows the difference between the two better than most. “The difference between a game and a simulation is that a game will give up reality so that it’s enjoyable, while a simulation will predict, with accuracy, what’s going to happen in the real world,” he explained. 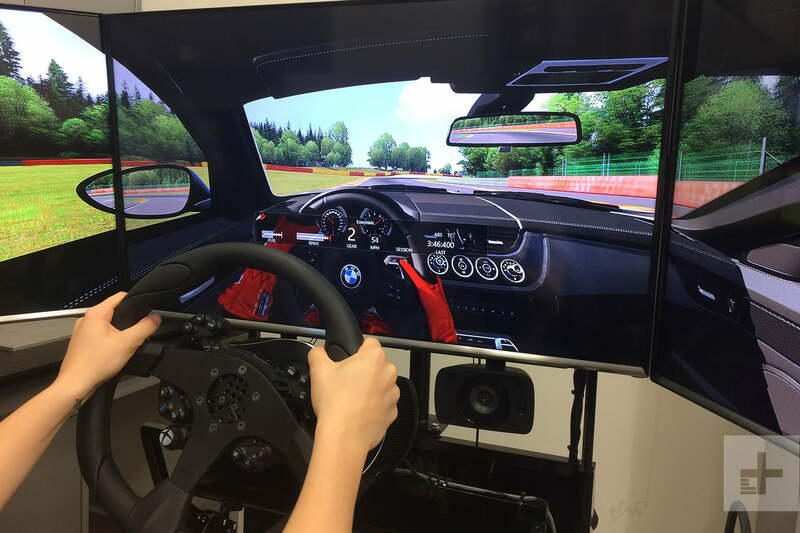 Current racing simulator technology includes wraparound screens for a seamless view both in front of and beside the driver, and VR technology such as Oculus Rift goggles to provide the visual effects. Paul Stary, president and CEO of VirtualGT in Costa Mesa, California, is a specialist in making the virtual environment truly immersive. The subconscious mind compares what’s going on in the simulator against reality to determine if it’s real or not. Smith is testing whether a moving simulator is better than a basic fixed-base driving simulator for therapeutic use. Using a simulator allows researchers to test for those cognitive issues without putting the patient into an actual vehicle. Finding a safe place for patients to practice their driving and demonstrate what they can do is the key to effective testing and therapy. If you can’t gauge deceleration by feel, you suddenly need to fixate on the pace at which distance to the stop is closing. The motivation for using simulators with motion feedback is to retrain those key reflexes in a stroke or TBI survivor. 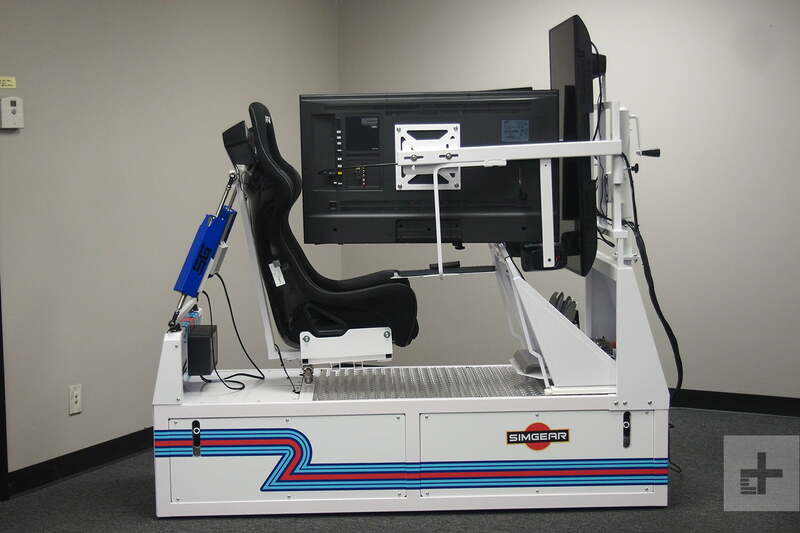 By allowing each patient to practice the skills and develop the reflexes and the confidence to drive, the simulator empowers them to leverage all the sensation, movement, and cognitive ability they retain toward getting back behind the wheel safely. Using full-motion simulators can test for deficits in a realistic simulation, and also help with recovery. Racing simulator manufacturers have embraced the research into the therapeutic applications of their products. 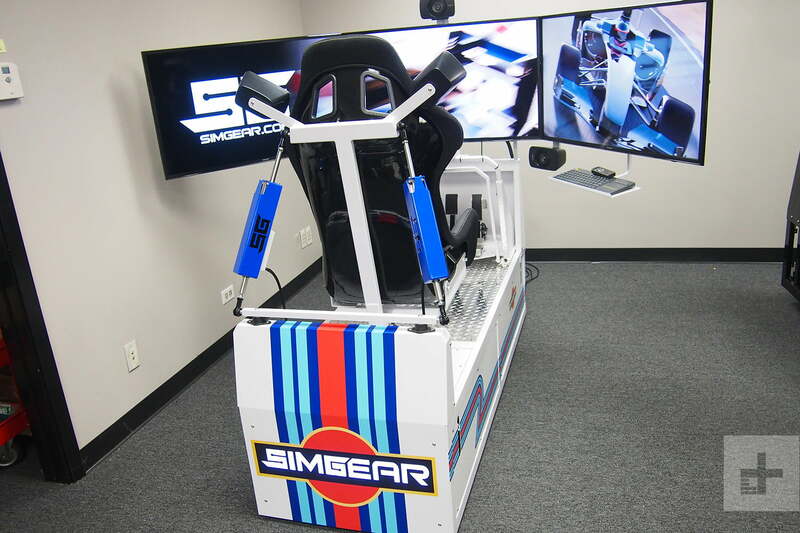 Zach Davis runs SimGear Simulators in Schaumburg, Illinois. SimGear provided the simulators in use at Loyola Marymount. Chris Considine is the mover behind CXC Simulations in Los Angeles, California, and another leader in bringing racing simulation to medical research and therapy. As a mechanical engineer, Smith has a clear plan for his work.